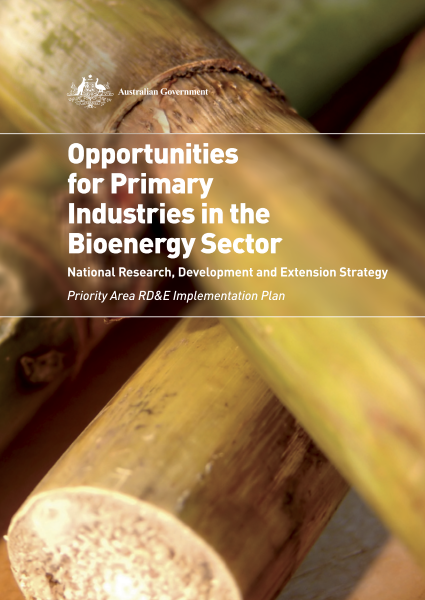 This National Bioenergy RD&E Work Plan (BWP) flows from the issues and opportunities identified in the report 'Opportunities for primary industries in the bioenergy sector-national RD&E strategy' (RIRDC 2011). The plan utilises the methodology of Stucley et al (2012) that analyses bio-economic factors of production to guide research and investment for bioenergy feedstocks. This approach focuses on the delivered cost of feedstock, while considering the prospects of land managers and other supply-chain businesses to make profits. Integrating technology economies of scale and productivity estimates provides a delivered cost of feedstock and this analysis enables risk to be assessed. The potential for a biomass feedstock to be available, in substantial quantities at competitive cost, within close proximity to a bioenergy conversion plant drives the priorities in this plan.